Length: 33inches.Indian Neck designs are well famous at all over world. 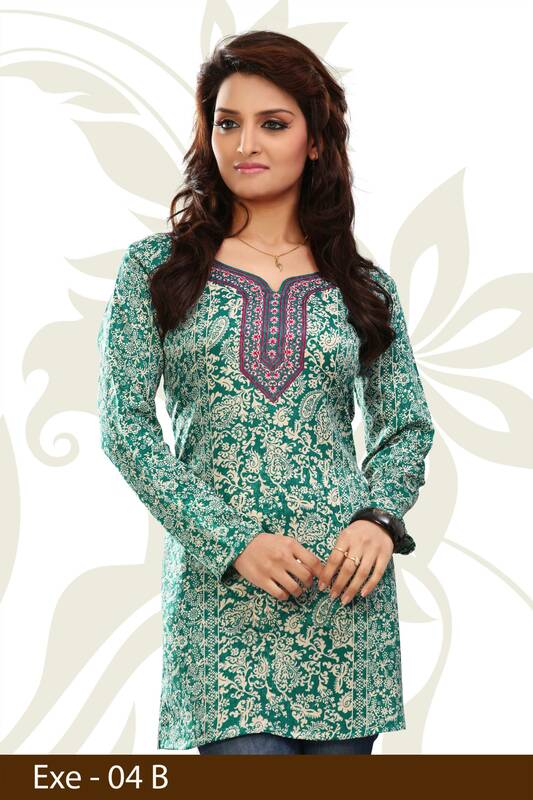 This Green Crepe Silk Short Kurti has amazing Neckline Embroidered work on it. Neck Pattern is also attractive. 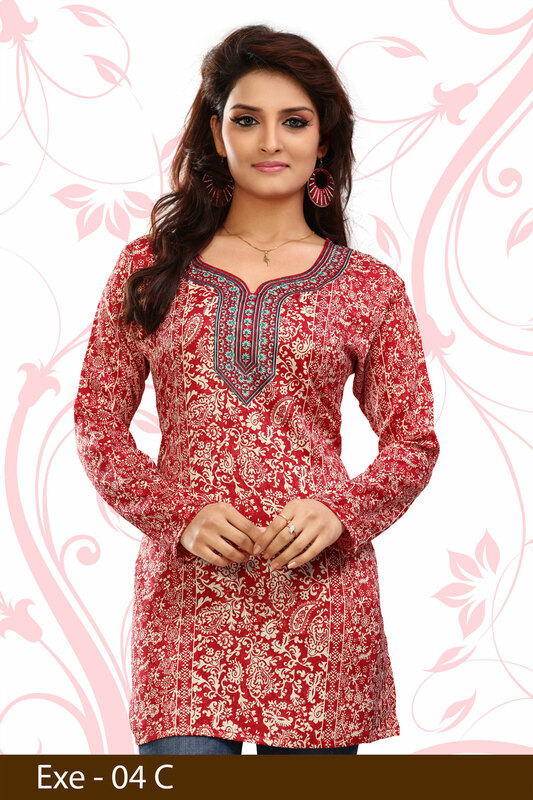 This Neck design makes This Kurti very attractive and elegant. It has also pretty work over all.Overall it is one of the best Crape Silk Short Kurti.